How to express your longing for peace around the world? 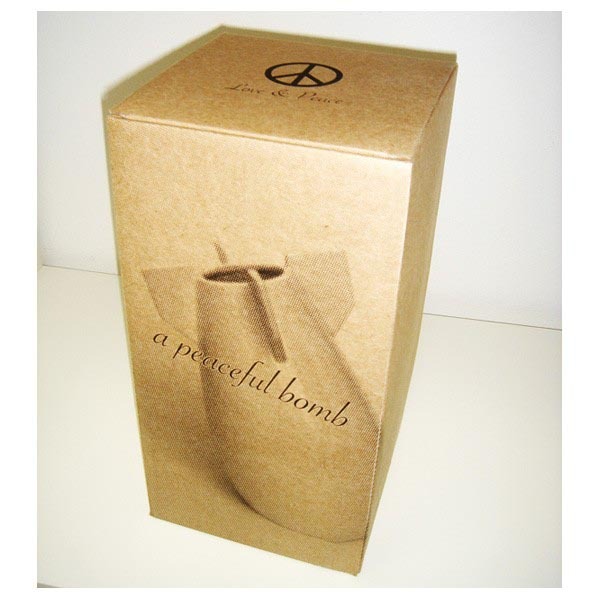 Put the peaceful bomb vase in your living room, you will never worry no one notices the special decoration or ask you a question about it. As we can see from the images, the white ceramic vase is shaped as a bomb of extraordinary power. 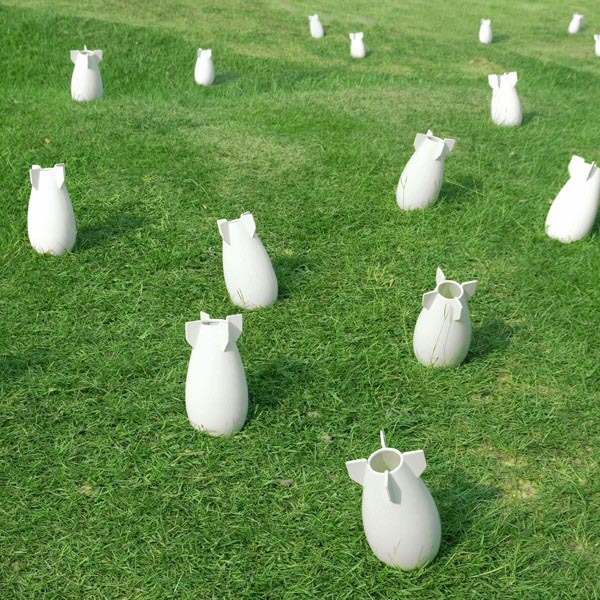 When put on the ground or desk, the vase looks like a bomb sticking in soil. 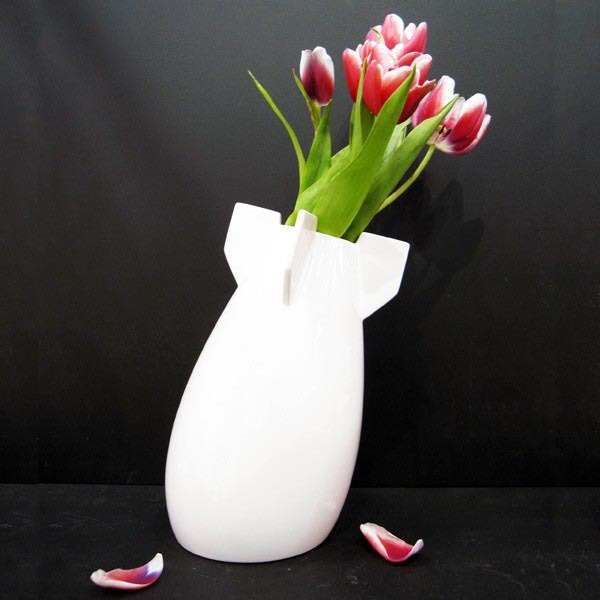 The Peaceful Bomb Vase is designed by Biaugust Design, a design studio from Taipei, Taiwan, as a part of their peace collection named “Love & Peace”. 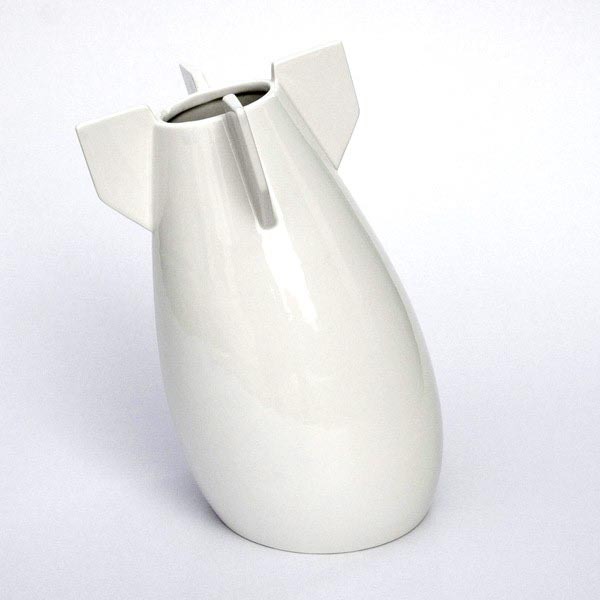 The bomb vase measures 7.5 x 5.9 x 11 inches. 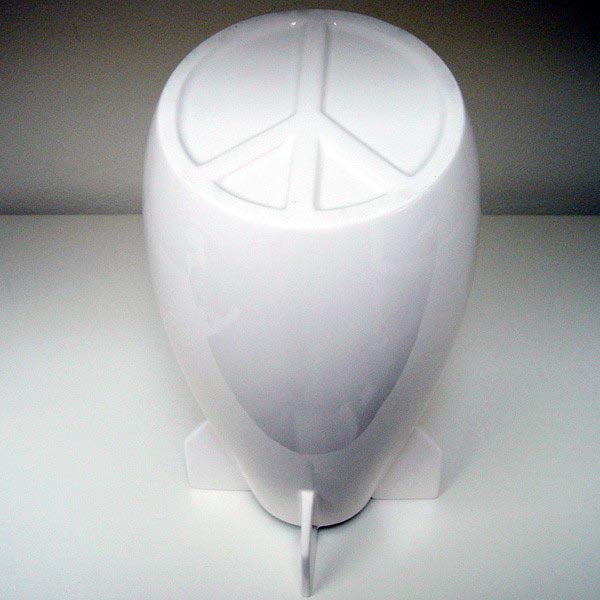 On its bottom, a widely used CND’s anti-war symbol decisively states its position. The peaceful bomb ceramic vase is priced at $52 USD. 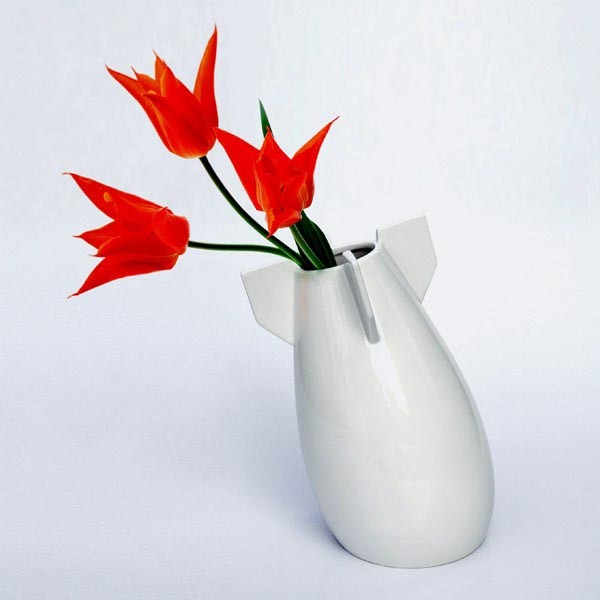 If you like the wonderful design, jump to Yanko Store for more details. You made particular excellent points there. I did a explore on the theme and located the vast majority of people could agree with your weblog. Great article thanks. I enjoy that you mention that SEO rquires continuing attention; too quite a few folks believe that SEO calls for a big total volume of work and after that nothing additional needs be done!